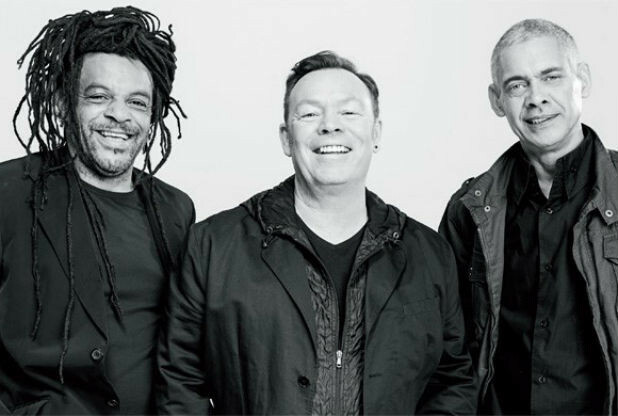 UB40’s founding members Ali, Astro & Mickey are ready to make a triumphant return to UK arenas after having a successfull North American tour. Britains BIGGEST reggae band will be treating fans to a show packed with their biggest hits from their seminal albums Labour Of Love Parts I&II. We got to chat with Astro to find out what to expect from the upcoming tour and why he loves playing Cardiff. Wyburn & Wayne: Hi how’s things? Astro: Life’s good, just got back from gigging in Hawaii, New Zealand & Papa New Guine. Back in the UK now and very excited for our upcoming tour. Really up for it. 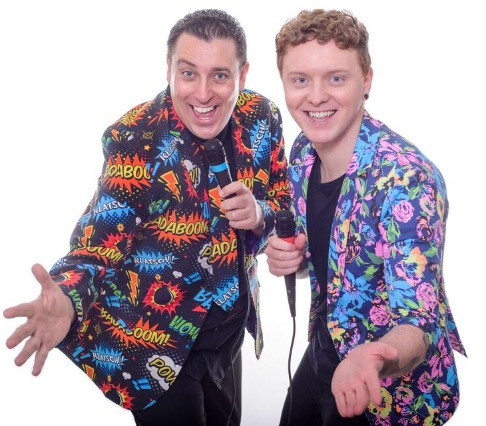 Wyburn & Wayne: Yes, looking forward to seeing you at Cardiff’s Motorpoint Arena, you know Cardiff has a huge reggae following, it’s hugely popular here. Astro: I know! I love playing Cardiff. The crowd are always ready for a good time, they need no encouragement. Wyburn & Wayne: So over 40 years in the music industry and still going strong, what do you think the secret to the bands success is? Astro: Reggae music is an international language that is known around the world, it’s not the lyrics cause not everyone understands English, as soon as they hear the guitar and drum and bass they know it’s time to get down and party. Wyburn & Wayne: Your music dominated the 80’s and many of the acts you shared the charts with are no longer making music how does it feel that you guys are still touring and making music. Astro: This pleases me no end, it’s a testament to the fact we play reggae music, so many musicians that were popular when we started out are no longer playing music or have passed on so I feel blessed to be doing what I love most. And people still come out in their droves to see us live, we must be doing something right! Wyburn & Wayne: Do you think sticking to the same formula is the reason your still popular? Astro: Absolutely, reggae is what we know, it’s what we love, it comes natural to us. Where the other members of UB40 broke off and released a country album, we stayed true to our reggae roots. For me it was like the straw that broke the camels back when they did that, it was an insult to all the fans which had stuck with UB40 for over 30 years. It’s not right. UB40 featuring Ali Astro & Mickey will always be about reggae! Always! Wyburn & Wayne: I believe your future success will be down to the fact you three guys are back together and playing music true to your roots. Astro: I agree wholeheartedl, you can go to the four corners of the globe and you will hear reggae music blasting away somewhere. Wyburn & Wayne: The original UB40 line up was made up of mixed races and nationalities at a time where racism was still common in the UK. Astro: We rose to fame at a time when the National Front was on the rise and acts like us and The Specials were making a statement every time we walked on stage. We were making a political statement saying, people can live together regardless of colour or nationality. We were like the United Nations within the band. Wyburn & Wayne: Is it true that Chrisie Hynde played a part in discovering you, what was those early years like? Astro: Our rise to fame is like a fairytal, we got no hard luck stories to tell. We went down to London to play a gig at I think the Hope & Anchor, Chrisie was there in the audience. After the gig she came backstage and asked if we wanted to go on tour with her. Ofcourse we did! We released a double sided single while on tour with The Pretenders and by the time the tour finished the single was at number 4 in the charts. So we booked all the venues we had just finished playing with The Pretenders and played them again. We never looked back. Wyburn & Wayne: So what can we expect from the upcoming tour? Astro: All the hits from Labour of Love Part I & II, well we gonna play as many of those tracks as we can fit in. We want to keep people on their feet, keep them dancing. We gonna play the hits cause that’s what people want. Wyburn & Wayne: You’ve played Cardiff many times, what are your memories of playing here? Astro: it’s always a blur, I always arrive ages before the show and end up with mates who feed me Guinness. So by the time the show starts I’m already having a great time & it usually continues into the early hours. I’ve come to Cardiff many times for football and gigs. I love it here, it’s phenomenal how Wales has taken reggae to its heart. Wyburn & Wayne: ok so some of our readers submitted questions, Laura wants to know what’s the story behind Don’t Break My Heart? Astro: Well it’s not written about a specific person. The story is, we used to live in this little suburb of Birmingham and Ali was friends with this Indian guy who wanted to write a song. He asked Ali to help him write this song and it ended up with Ali writing the song ( Don’t Break My Heart). And years later a girlfriend of this Indian guy starts claiming she wrote the song haha. It’s a great song I love it, it brings back fond memories of performing it in Russia back in 1986. Wyburn & Wayne: Cheryl asks, what’s your favourite track to perform? Astro: ah so many, Rat in mi kitchen, Red Red Wine obviously. I don’t think we would be able to leave the stage without playing them. What’s actually going down a storm are some of the new tracks. Wyburn & Wayne: Kim asks.. What was it like working with the late Robert Palmer? Astro: It was so much fun, what a great man. He liked his brandy! We spent some time together in Milan and we also played a live show together at Birmingham City Football Ground and he drank a lot of brandy that day. Such a great lovely man. Wyburn & Wayne: Mel wants to know… Where were you when you had your first number one record? Astro: haha we used to pay ourselves £35 a week back then and we were in Paris and we clubbed our money together and bought lots of rum and cola and got absolutely smashed. Good times! Wyburn & Wayne: Rhian asks… What’s your most memorable gig? Astro: tough question, but there are two which come to mind. Firstly playing South Africa shortly after Mandela was released from prison, we played to 180,000 South Africans and they were singing back our songs, incredible. The other was playing Madisson Square Garden to a sold out crowd the same week Red Red Wine went to number one on the billboard charts. And the only other band in history that done that was the Beatles, playing Madisson Square Garden the same week you hit number one. Great shows.